Product code: 01 Category: Fully Composite. 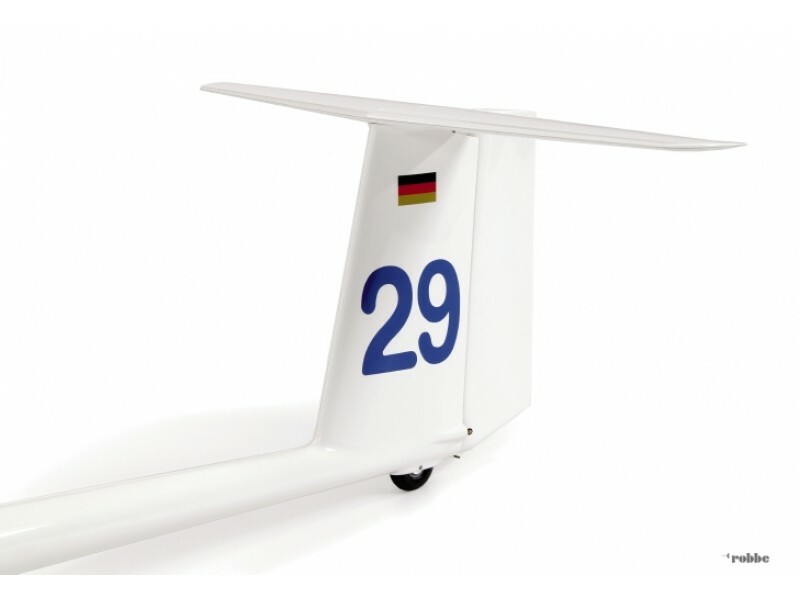 In its very first season the ASG 29 high-performance single-seat sailplane ran up numerous successes at National and World Championships level in the FAI 18-metre class and also – with the shorter outboard wing panels – in the FAI 15-metre class. 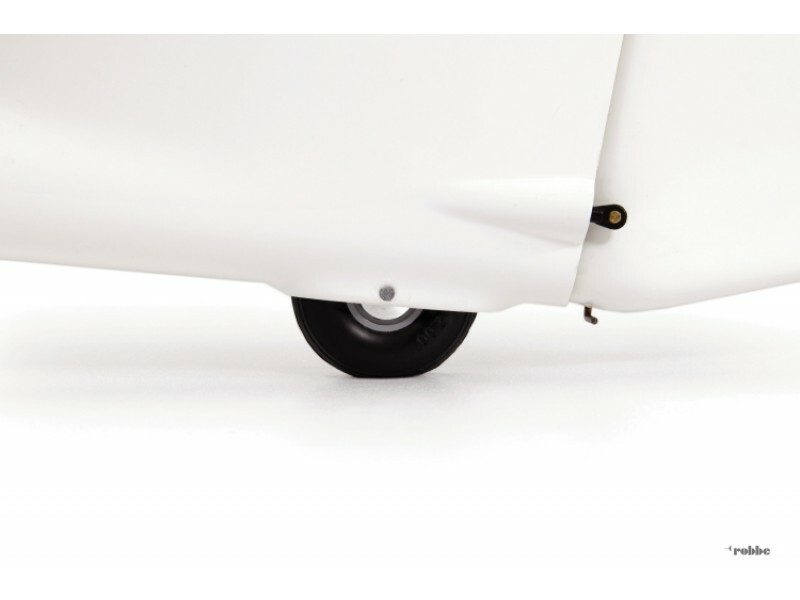 The innovative wing structure and high aspect ratio gives the ASG 29 a very distinctive appearance. Our model of the ASG 29 is drawn up to 1 : 3 scale, and is supplied in finished form, just awaiting the installation of the RC components. 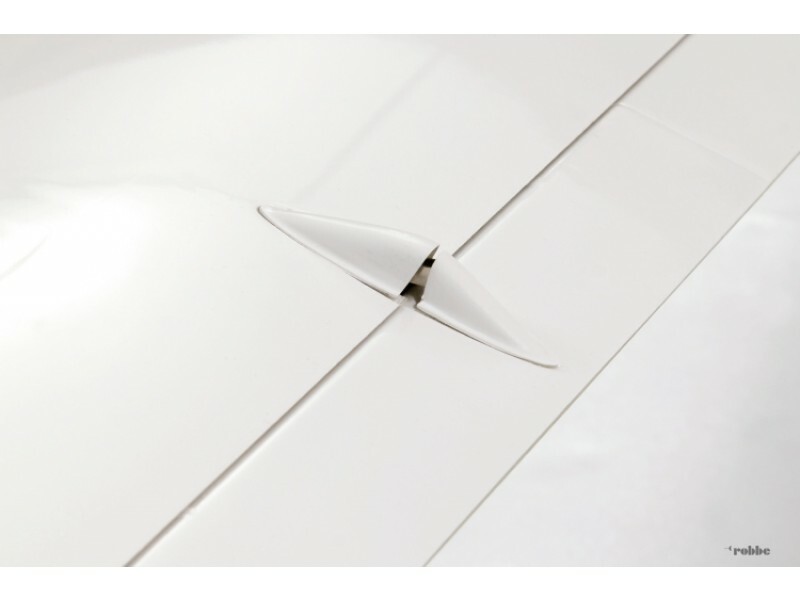 The white GRP fuselage features all essential internal fittings and connections as standard. 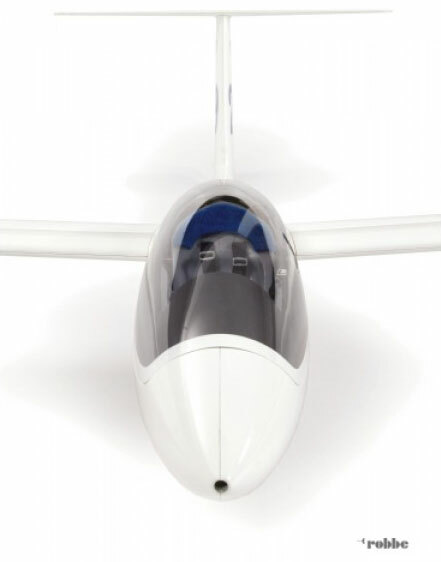 The cockpit includes scale details such as safety harness and stick, and is complemented by the factory-fitted canopy with sliding window. The wings are of hollow-moulded GRP / CFRP sandwich construction, and are attached to the fuselage by means of a scale CFRP / steel spar joiner. 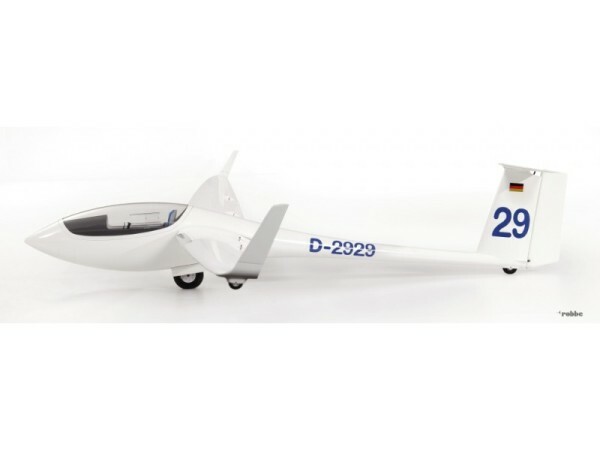 The outstanding features of the 5 m version of the ASG 29 are its high-end construction and superb flying characteristics for thermalling and aerobatics. 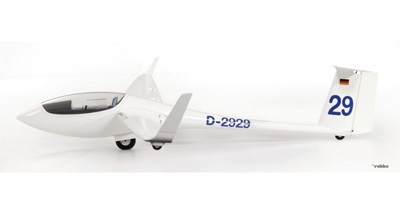 You will get here a great all molded scale reproduction, high performance scale glider. High aspect ratio wings, giving great L/D, smooth handling, great thermal capability. Nice on tow or slope, it can be also winched from a good TD winch.